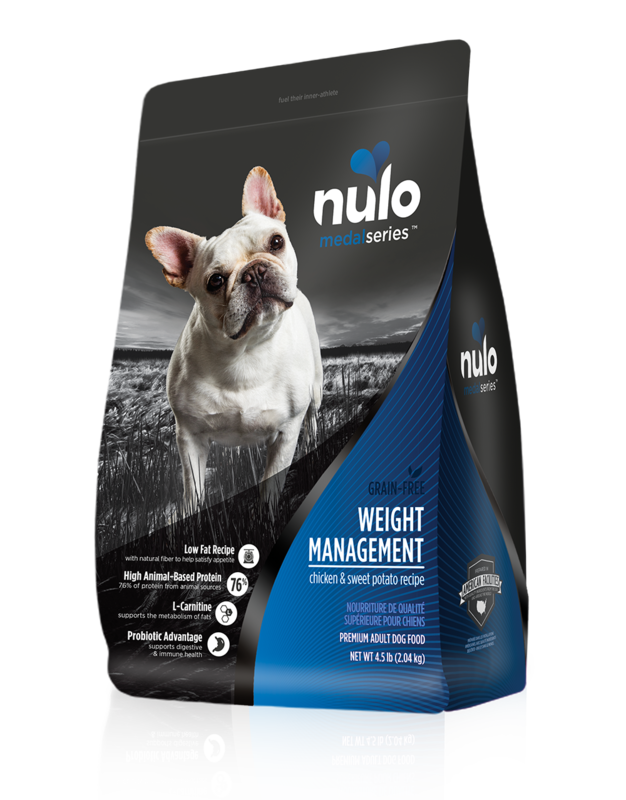 Nulo MedalSeries Adult Weight Management recipe is specially formulated to help your dog reach and maintain a healthy weight. 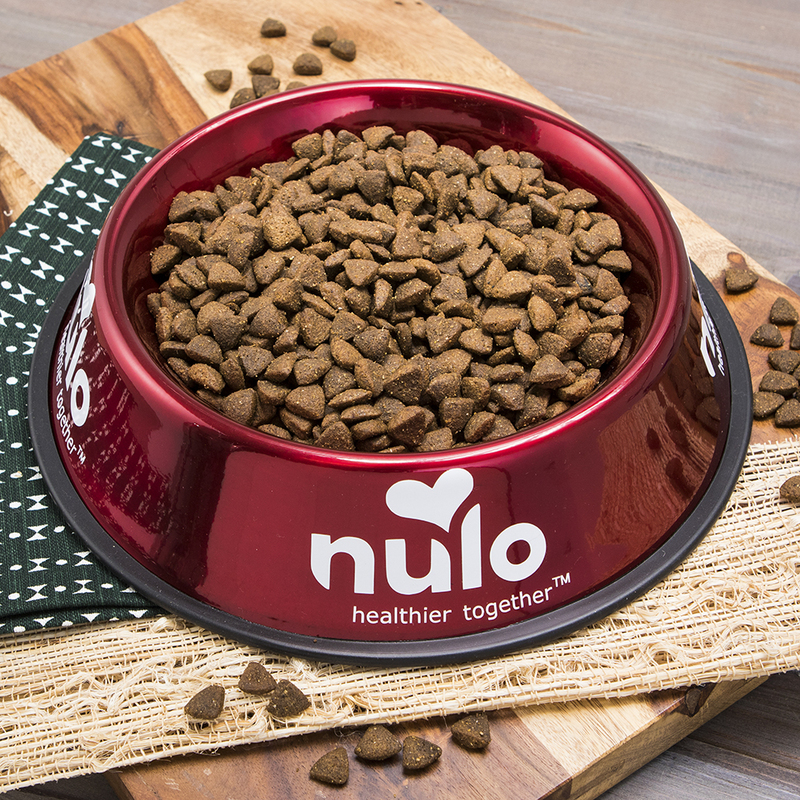 Low in fat and made with L-Carnitine to aid in the metabolism of fats, you can treat your dog to a delicious mealtime without the extra calories. 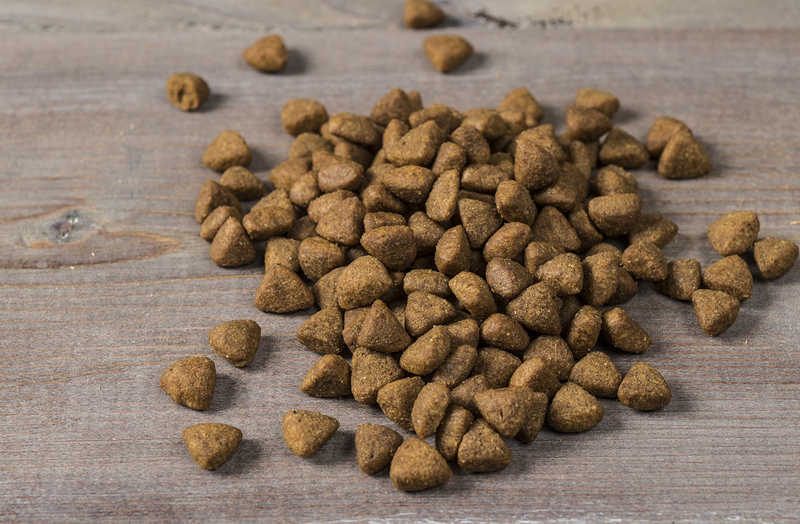 And with 76% of protein from wholesome ingredients like Deboned Chicken and Cod, as well as natural fibers ingredients like Miscanthus Grass, your dog can maintain a lean body condition while staying satisfied between meals. 76% of protein from animal sources. Deboned Chicken, Chicken Meal, Turkey Meal, Dried Sweet Potatoes, Whole Peas, Chickpeas, Deboned Cod, Miscanthus Grass, Natural Chicken Flavor, Yeast Culture, Chicken Fat (preserved with Mixed Tocopherols & Citric Acid), Potassium Chloride, Dried Chicory Root, Salt, Choline Chloride, Dried Apples, Dried Blueberries, Dried Carrots, Dried Tomatoes, Calcium Carbonate, L-Carnitine, Vitamin E Supplement, Zinc Proteinate, Zinc Sulfate, Sweet Fennel, Dandelion, Chamomile, L-Ascorbyl-2-Polyphosphate (source of Vitamin C), Iron Proteinate, Niacin Supplement, Ferrous Sulfate, Copper Proteinate, Copper Sulfate, Vitamin A Supplement, Manganese Proteinate, Thiamine Mononitrate, Calcium Pantothenate, Riboflavin Supplement, Pyridoxine Hydrochloride, Manganous Oxide, Biotin, Dried Bacillus coagulans Fermentation Product, Vitamin B12 Supplement, Vitamin D3 Supplement, Folic Acid, Sodium Selenite, Calcium Iodate, Rosemary Extract. MedalSeries Dog Weight Management Chicken & Sweet Potato Recipe is formulated to meet the nutritional levels established by the AAFCO Dog Food Nutrient Profiles for maintenance.